While it is the newest building in the tour, All Saints Cathedral is important because it was the first Episcopal Cathedral in the United States. If you walk up State Street, and then Washington Avenue, you'll come across the New York State Education Department, behind this monstrous behemoth is the Cathedral of All Saints. 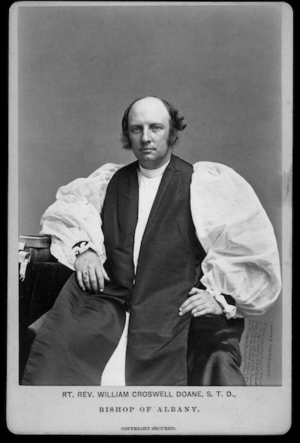 The Cathedral was originally the idea of Bishop William Croswell Doane, who wished to have an official cathedral to hold mass in, rather than using existing Episcopalian churches. This was important because a cathedral is supposed to be a seat for a bishop, as well as the central church of a diocese. Until this time (1888), the United States lacked this specific type of building for the Episcopal Church. This is why the building is sometimes called the Pioneer Cathedral, as it was the first of its kind in the country. The design of the building was decided in a competition in 1882. 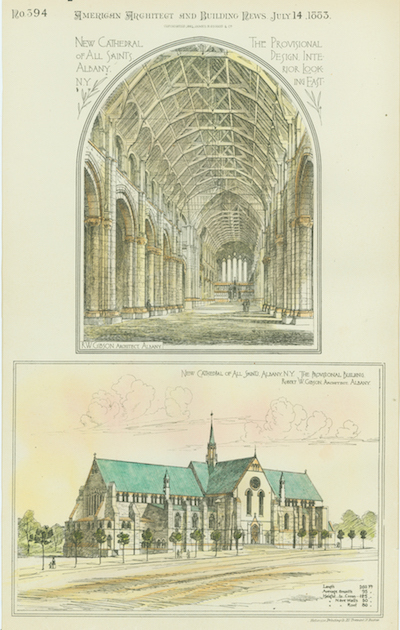 The architects, Henry Hobson Richardson, and Robert Gibson, were the two finalists in the design competition. While Richardson is commonly recognized as one of the greatest architects in the history of the United States and had previously designed Albany's City Hall, and the preliminary stage of the new State Capitol, Gibson's design was eventually chosen over his. Gibson's design was done in the English Gothic style, and modifications were made to adapt it for Upstate New York's harsh winters. The cathedral's construction began in 1884, and was finished in 1888. While Doane had plans to make the building larger, these halted when construction of the New York State Education Department building began in 1908. Due to the fact that the then education commissioner, Andrew Draper, had bought all of the lots on Washington Avenue, Doane's vision for the cathedral never came to fruition, and it was eventually hidden from sight by the Education Building. The cathedral, as it stands currently, is incomplete. 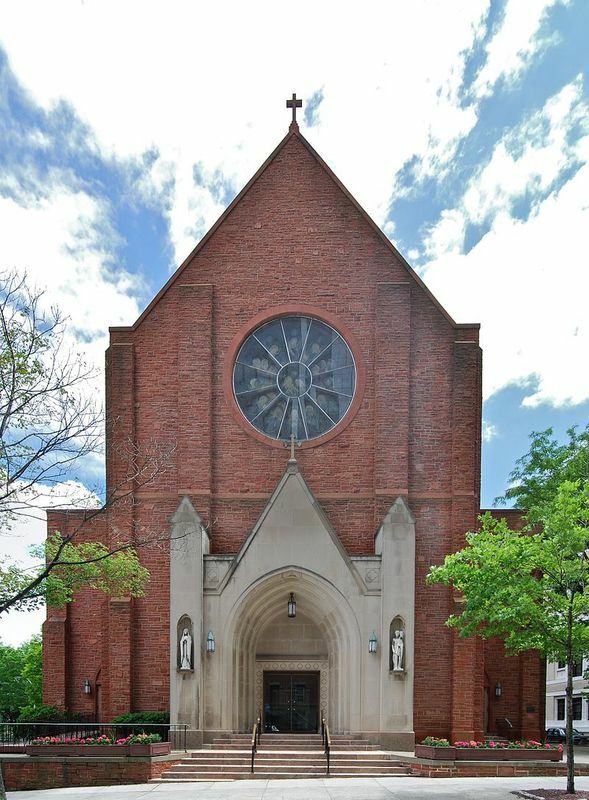 All Saints Cathedral was added to the National Register of Historic Places in 1974. Matthew Chamberlain, “Cathedral of All Saints,” Albany Walks for Health, accessed April 20, 2019, http://www.albanywalksforhealth.com/items/show/44.